LB Airport Flier Suggests "Alternate Approach" to Airport from Northbound 405: Advises Taking Bellflower Blvd. To Wardlow Rd., Then West on Wardlow Rd. to Lakewood Blvd. (Sept. 9, 2002) -- A flier being distributed by LB Airport tells drivers approaching the Airport from the northbound 405 freeway they can use an "alternate approach" to the Airport. The suggested alternative involves exiting at Bellflower Blvd. instead of Lakewood Blvd., going north on Bellflower Blvd. 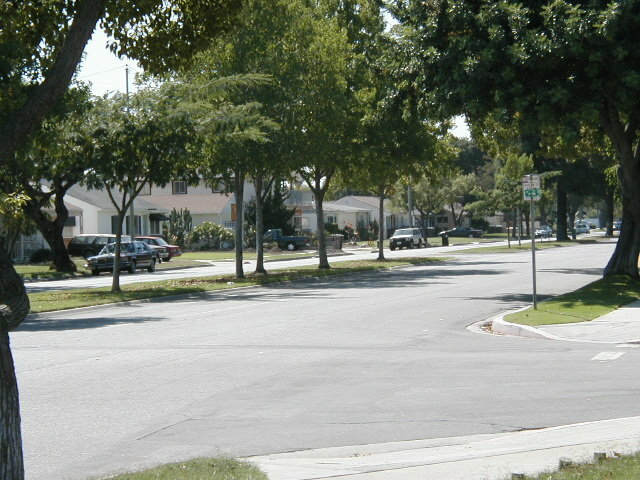 to Wardlow Rd., then turning left from Bellflower onto Wardlow Rd. and heading west to Lakewood Blvd. and the airport area. The double-sided flier is being distributed at Airport parking lots and LB neighborhood public meetings. One side boasts "Parking Just Got Even Easier at Long Beach Airport" in referring to remote Parking Lot D at Lakewood and Conant with shuttle service. To our knowledge, this is the first time LB City Hall has explicitly proposed this "alternative approach" to the Airport. In recent years, costly public works projects were undertaken to widen and enhance Lakewood Blvd., creating an entrance from the 405 freeway to the Airport. Although the "alternative approach" is being suggested in the context of a temporary parking lot, encouraging its use could cement habits and turn the route into a de facto permanent Airport alternative approach. The "alternate approach" would impact the ELB South of Conant residential area. 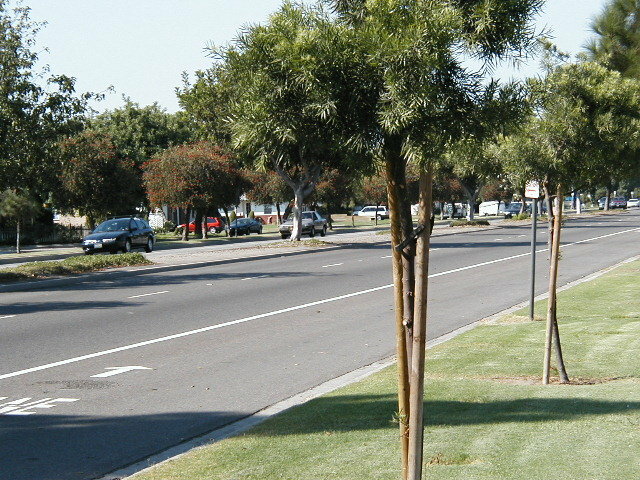 Wardlow Rd., a through-street stretching into Orange County (where it's Ball Rd.) is residential along most of its ELB route. 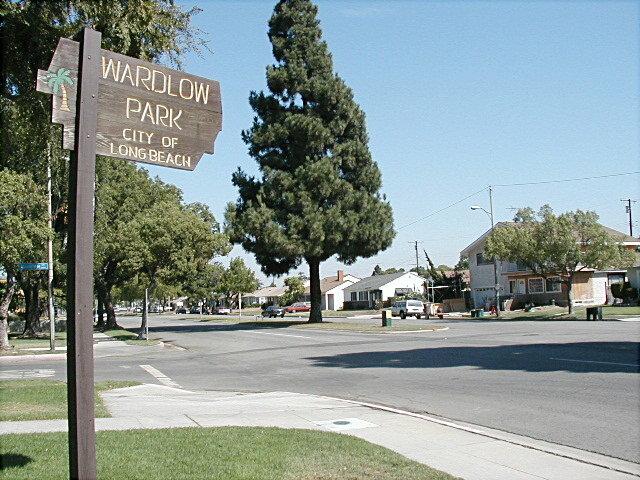 It includes Wardlow Park between Bellflower and Clark Ave. (A golf course sits between Clark Ave. and Lakewood Blvd.). 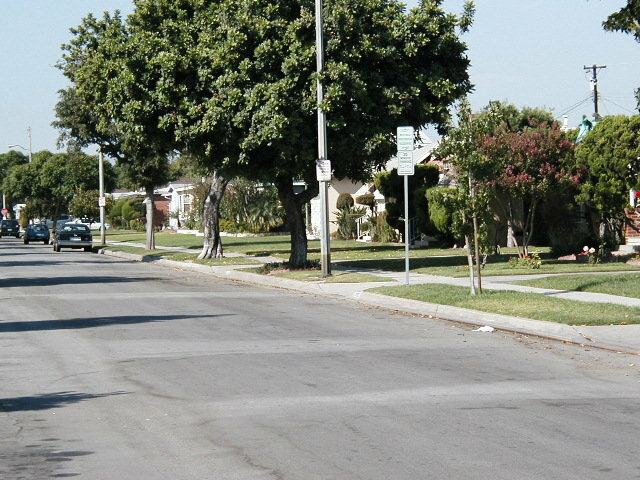 Residents in the South of Conant tract use Bellflower Blvd. to get into and out of their homes. In recent years, they've already had to contend with increased traffic clogging their access from the 405 freeway as a result of previous City Hall actions that encouraged dense commercial use of the former Los Altos Drive-In at Spring St. In addition to Cal Worthington Ford, traffic is now often heavy on Bellflower Blvd. south of Spring St. due to Beach City Chevrolet, KMart, Lowes Hardware, Starbucks, Dennys, Carls Jr., Kentucky Fried Chicken, Togo Sandwiches and other stores. Bellflower Blvd. from Spring St. to Wardlow Rd., like Wardlow Rd., is almost entirely residential. It includes access roads and medians on both sides separating homes from the main thoroughfare. The Airport traffic impacts -- in a neighborhood not usually considered airport impacted -- is one of the results of a fateful May, 2001 Council vote (motion by 5th district Councilwoman Jackie Kell, 8-1 vote, Carroll dissenting). That Council action changed LB's flight slot allocation procedures to make it easier for air carriers to fill then-vacant Airport flight slots. It was not required by any federal court or federal agency. Within days of the Council action, JetBlue Airways took all 27 then-vacant flight slots, filling all 41 noise budgeted flight slots for large aircraft (over 75,000 pounds). Prior to the vote, LB city staff and the Southern California Association of Governments (SCAG) had determined (and LBReport.com reported when other LB media didn't) that the 41 noise budgeted slots for large aircraft could produce roughly three million passengers per year (3.8 million if 25 regional jet slots under 75,000 pounds are also filled). SCAG assumed that would take place by 2025 (or some time earlier). The May, 2001 City Council vote will bring 3 million passengers to LB within the next six weeks. LB Airport management notes that SCAG's use of the 3 million annual passenger level for LB Airport, while admittedly the highest passenger level ever seen at LB Airport, is something of a victory for LB residents because it assumes retention of LB's noise budgeted flights (41 large + 25 regional) under LB's Airport Noise Compatibility Ordinance. 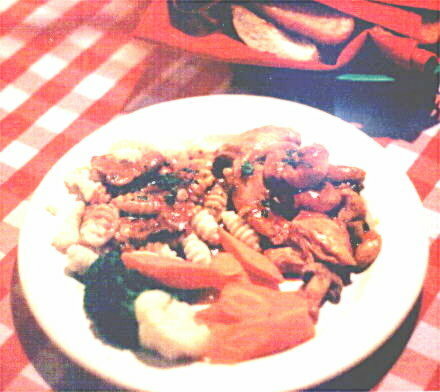 To view page two of the flier from which we have quoted, click on LB Airport flier, Sept. 2002.